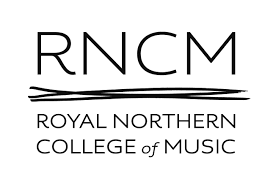 Welcome to The Royal Northern College Of Music, one of the world's most prestigious music conservatoires, and where one is always assured a friendly welcome. I was there to listen to their student Symphony Orchestra, and if you were to close your eyes, you would have had no idea the age and experience of the musicians, as their consummate playing was undeniably superb. We were treated to three works this evening, two of which I was listening to for the first time. That's one of the great things about classical music - there's just so much of it - and so no matter how much you listen to, there is always something that will be new for you. Reading the programme notes I learn that Messiaen was a devoted Catholic, loved medieval plainchant, and also liked to integrate melodic influences of far Eastern music into his works. In retrospect, I could hear both of these ideas in this piece this evening too. It started slowly and quietly with just the strings, and then a burst of timpani brings in the rest of the orchestra to an orgiastic middle section which cadences abruptly, and then the whole piece finishes again with the strings in pianissimo taking the diminuendo to silence. The piece was conducted by Sergej Bolkhovets, who controlled the orchestra with accustomed skill, highly confident and masterful, the pauses in this piece was excellently observed. A delight to watch. The second piece was the second new-to-me music, which is quite surprising since I have a rather large selection of Martinu's output in my collection. This Late Romantic / 20th century Czech composer has his homeland written all over him, and in this, his Rhapsody Concerto for solo viola and orchestra, it is never clearer. Traditional Czech folk melodies and sounds from his native land abound, creating a wonderful soundscape of Bohemia, despite this work being written in the USA after he moved there to escape the ravages of the second world war. The work is in two movements; first the 'moderato' has a bright start to a jointy and jolly melody; the swells of the solo viola beautifully handled by soloist Alexander Mitchell. In fact Mitchell allowed his whole body to become involved in the playing, as his swayed and bopped, mostly with his eyes closed, fully immersed in his music-making. The second movement, 'molto adagio' starts exactly that, very slowly and sedately, but it doesn't take long for the piece to find a swifter pace and with a viola cadenza before a mock heroic Czech march-like theme, finally, brings us to a very quiet and soft conclusion to this quasi-classical composition. Conducted by the RNCM's Head of Conducting, Clark Rundell, this was indeed a beautiful and highly evocative piece of Martinu which I shall undoubtedly now be adding to my collection. This evening's talented soloist, Mitchell, received a much-deserved rapturous applause. Definitely a young talent to look out for! After a short interval and we were now in full Symphony Orchestra mode - I didn't in fact count, but there must have been in excess of 100 musicians on the podium. We were treated to 2 sets of timpani, 2 tubas, contrabassoons, bass clarinets and other less ordinary instruments. We were in for an absolute treat though, as this was the configuration required for Stravinsky's The Rite Of Spring. So, let me cut to the chase - I have heard this piece many times before, and own three separate recording of it too - I have never heard it played so vibrantly and urgently though. It was sending shivers down my spine, it was THAT good! Stravinsky's music is electric and eclectic, as he has taken influences from pretty much everything from Baroque right up to the very latest trends of the time (there is a lovely minimalist passage in the middle)! His music is always shocking, unexpected, highly evocative and emotive, and there is always a tune in there somewhere.. it just might take a little while to find it! Stravinsky wrote three major ballet scores for the Ballet Russe (Diaghilev), and this was his most controversial of the three. The story tells of Pagan Rituals and sacrifice, and this, combined with the way the ballet was presented and the newness and atonality of the score, meant that the audiences simply couldn't cope. Nowadays of course the music is perhaps somewhat tame in comparison to some of the things contemporary composers throw at us! As you can probably tell, I am quite a fan of Stravinsky's Rite Of Spring. It was, this evening performed absolutely superbly by the stunning musicians that is the RNCM Symphony Orchestra under, once again, the exacting baton of Clark Rundell. Molti bravissimi tutti.